This week, I wanted to share an in-person interview with Josh McBee, our shipping container homeowner and owner of High Cube Industries, LLC. This is the first live interview that I have done, but it went very well. Below is an outline of some of the talking points we covered (with their approximate times), so you can jump to them if like. The total interview ran about 40 minutes. Enjoy! Listen below: It takes about 10 seconds for the file to load. 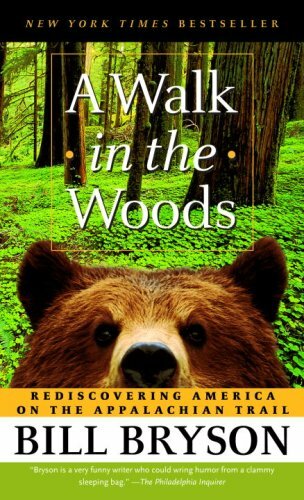 This is the book the inspired Josh to hike the Appalachian Trail, which led him toward the pursuit of Minimalism. If you purchase anything on Amazon after clicking the affiliate link, I receive a small commission at no cost to you. Thank you for supporting my website. Want to get down to the nitty-gritty and see first hand the kinds of issues that went into the construction of this home? Check out the High Cube Industries, LLC website when you have a little time. This is Josh's website and blog and a great first resource if you are interested in making buildings with shipping containers. Maybe a shipping container house is in your future? Thank you for following this series. Working with the homeowners to do something new is rewarding work. Let me know if there is another topic that you would like us to cover next. You can always send questions & messages from the Contact Page. I answer every email.